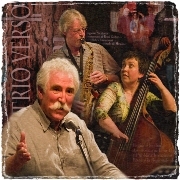 Trio Verso is a collaboration whose work interprets and refocuses the 1950s poetry and jazz movement for a 21st century audience, through the fusing of evocative lyric texts with free improvised jazz grooves and jazz-inflected soundscapes. The CD Storm Chaser was released in 2010. Performances are centred on close interaction, the poet exploring different interpretations of his texts in reaction to the sounds and rhythms created, while the musicians exploit their technique and the potential of their various instruments in response to the readings. 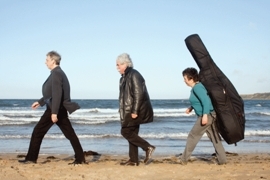 Since forming in 2007, Trio Verso has performed at the Big Tent Festival in Falkland, for St Andrews University Music Centre, at the Scottish Poetry Library, Edinburgh, at the Wordfringe Festival in Aberdeenshire, at the Callander Poetry Weekend and for the poetry sessions, Last Monday at the Rio in Glasgow and Shore Poets and the Golden Hour, both in Edinburgh. See www.myspace.com/trioverso for more about Trio Verso. 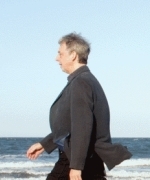 Brian Johnstone has published two pamphlets and two full collections; his latest The Book of Belongings was published by Arc in 2009. He has given readings across Scotland, in England and in various European countries. 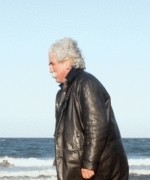 He was Festival Director of the StAnza Poetry Festival from 2000-10. Richard Ingham is an international soloist, composer, band leader and jazz educator who has appeared in concert in Europe, America and Asia. He is Composer in Residence and Fellow in New Music at the University of St Andrews and jazz tutor at St Mary's Music School, Edinburgh. 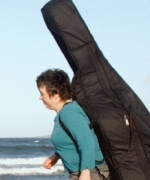 Louise Major is a double bass tutor for the University of St Andrews Music Centre and St Leonards School, St Andrews. She leads jazz band The Major Groove, co-ordinates the popular Thursday night jazz sessions at the Byre Theatre, and is also double bassist with the Heisenberg Ensemble.